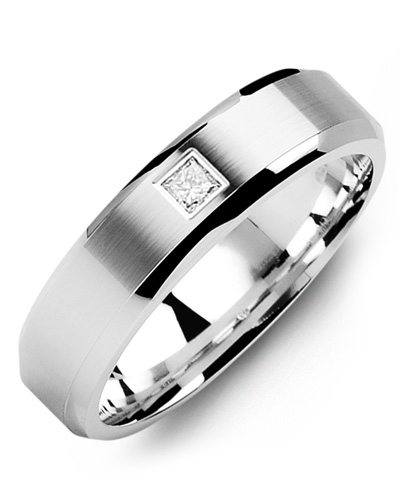 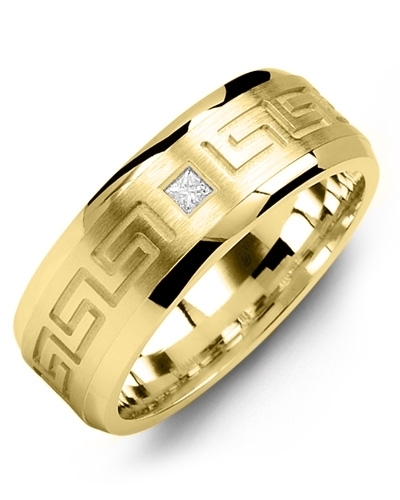 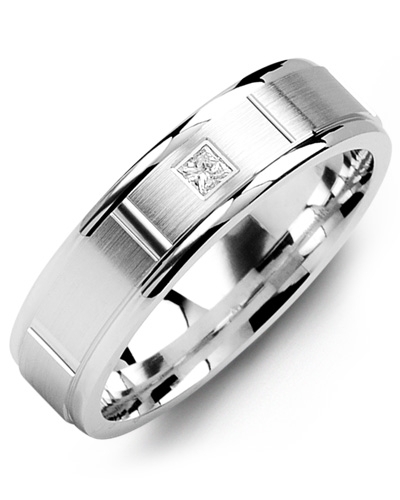 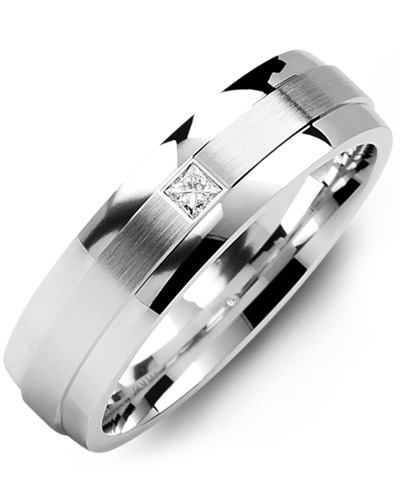 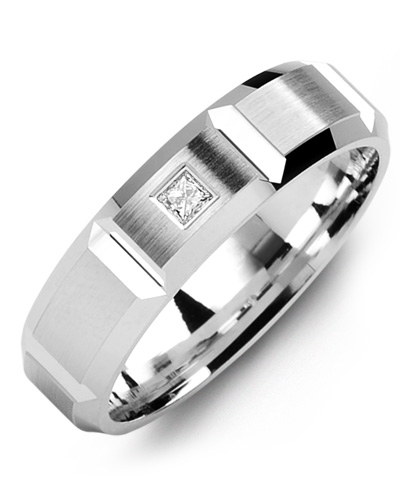 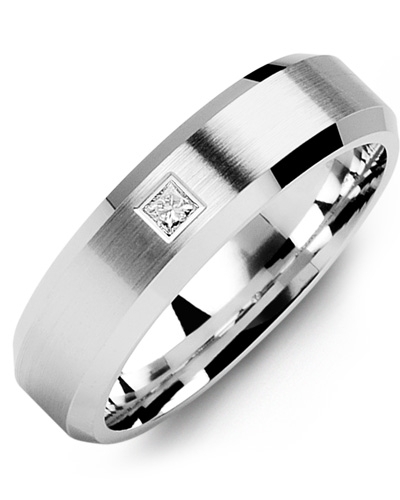 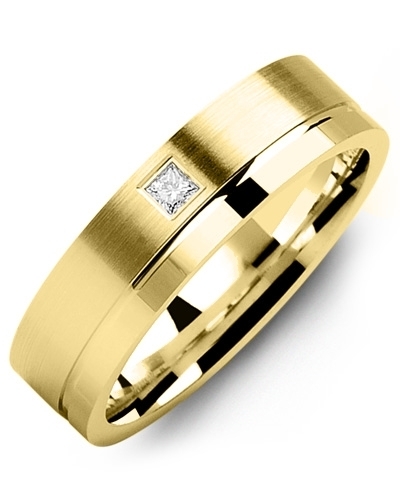 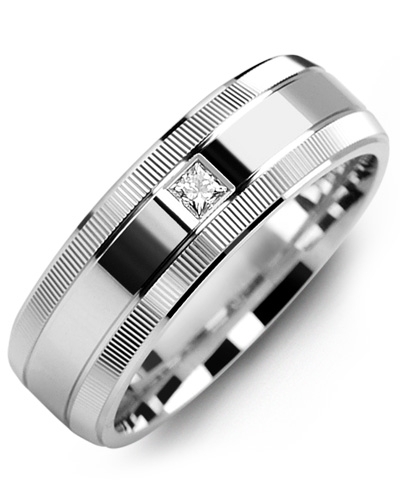 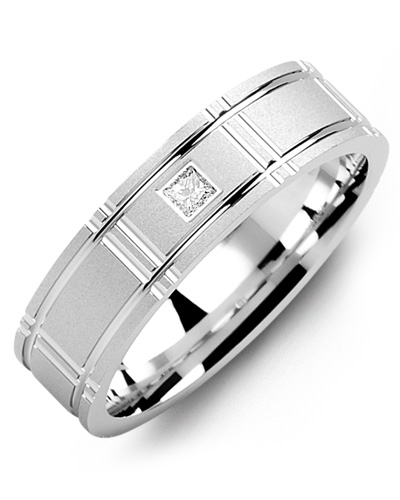 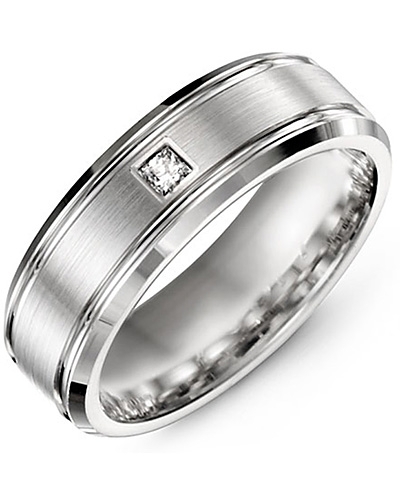 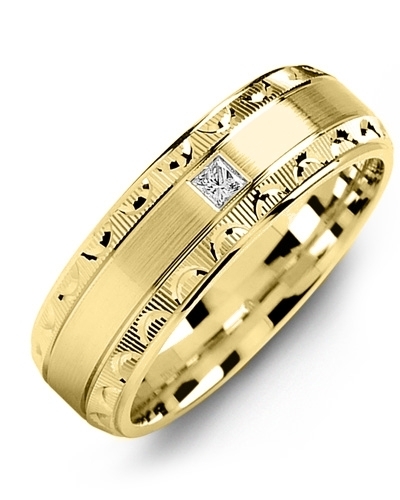 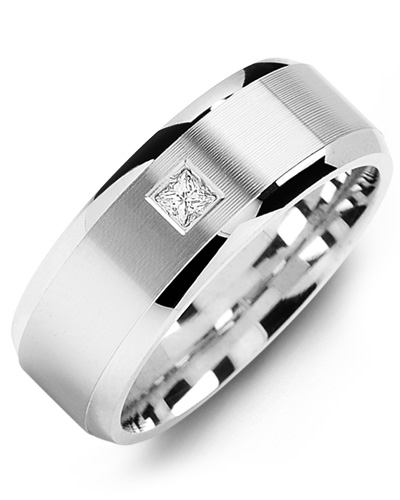 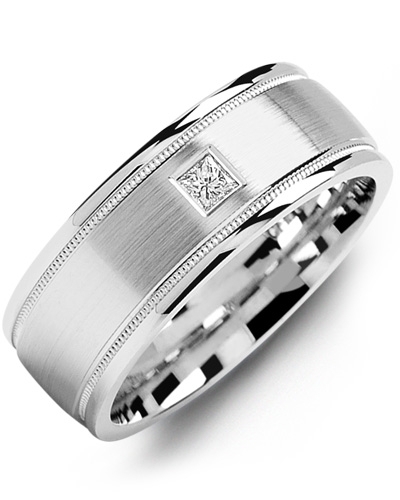 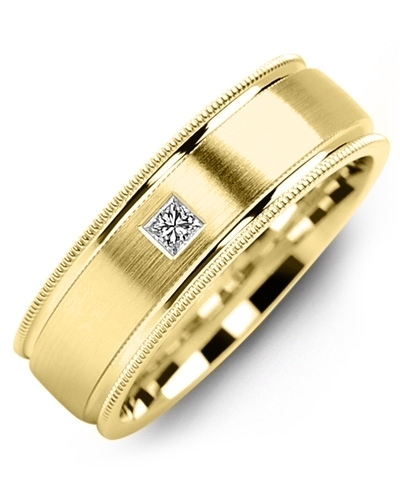 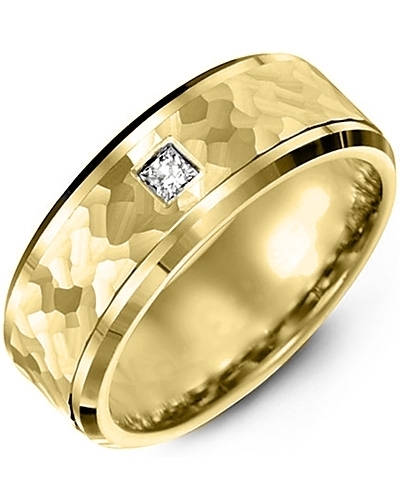 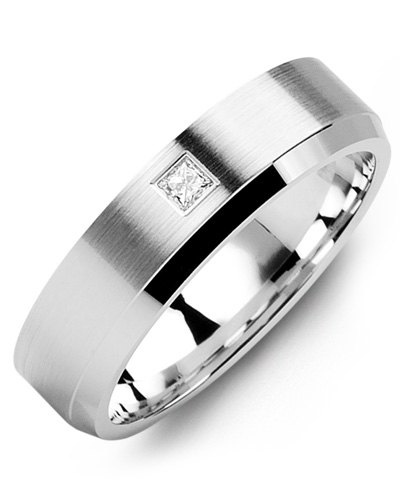 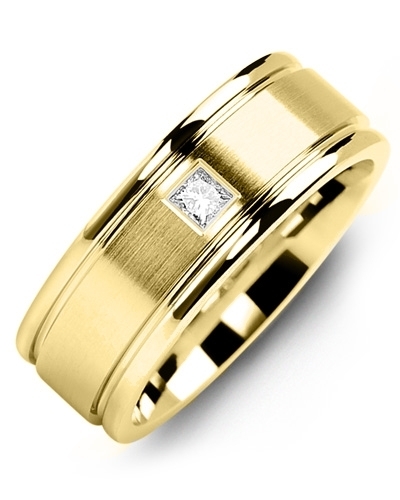 MTD - Classic Pattern Brush Center Diamond Gold Wedding Ring If you are looking for a contemporary wedding band with artistic flair, this Classic Pattern Brush Centre Diamond Gold Wedding Ring could be it. 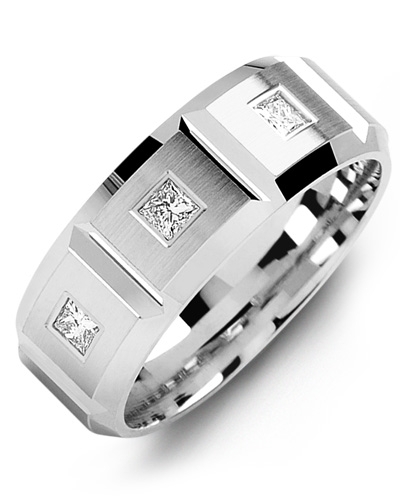 Crafted to the highest standards, it features a 0.05ct square princess diamond, brush detailing across the centre, and intricately carved bevelled edges for depth and dimension. 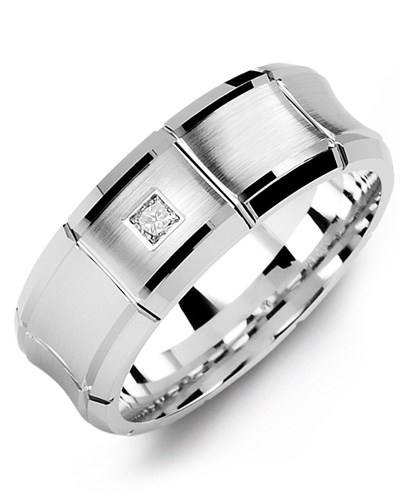 To complement your jewellery collection, it is available in white gold, yellow gold and 10kt, 14kt and 18kt options. 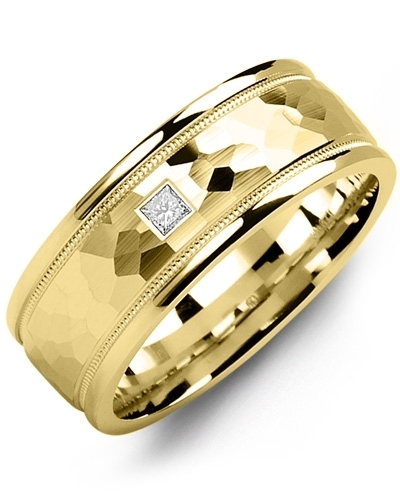 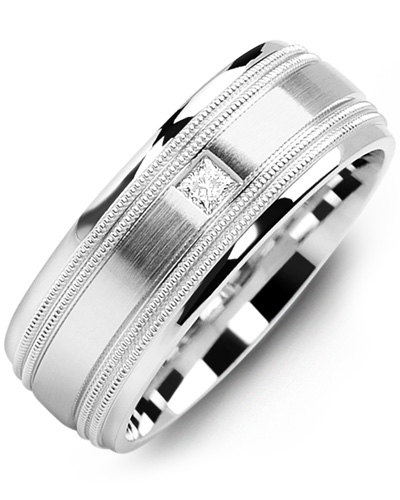 If you are looking for a contemporary wedding band with artistic flair, this Classic Pattern Brush Centre Diamond Gold Wedding Ring could be it. 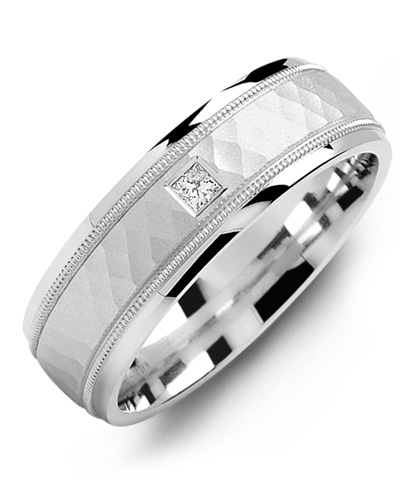 Crafted to the highest standards, it features a 0.05ct square princess diamond, brush detailing across the centre, and intricately carved bevelled edges for depth and dimension. To complement your jewellery collection, it is available in white gold, yellow gold and 10kt, 14kt and 18kt options.